Our steakhouse is open from March 15th through November 10th each year. 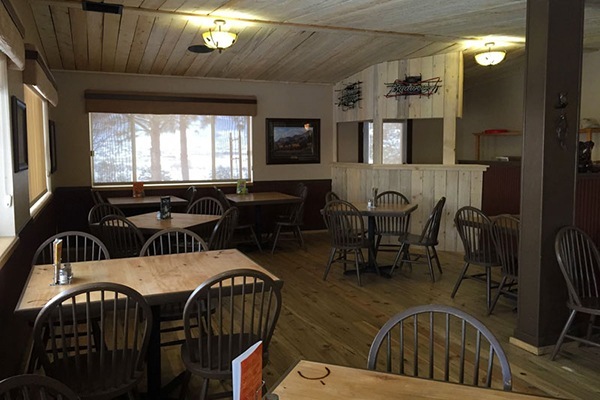 Bring an appetite and your family while staying with us at the Broken Spur Inn. Serving top rated American Western cuisine in a family environment, we are excited to serve you and offer a delicious meal during your stay. We open the Steakhouse up at 5:00 PM until 9:30 PM daily for dinner. Our meat is aged for 21 days and cut right in our own kitchen. We have several choice steak dinners to choose from and also a Pistachio crusted salmon, country cordon bleu or a delectable pasta dish. 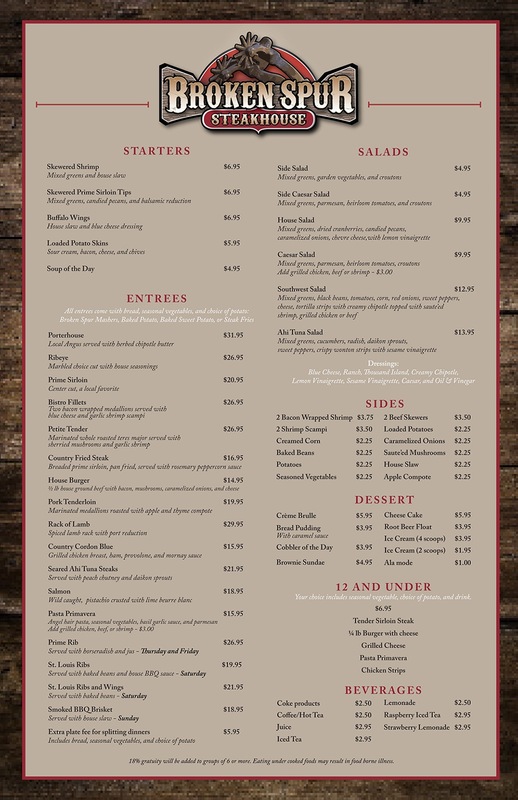 We even have a kid’s menu that is sure to please mom and dad. Everything we serve is made from scratch and our bakery provides our bread and desserts. Our hilltop location with breathtaking views adds to the atmosphere of dining. We cater luncheons and dinners for reunions , bus groups, motorcycle groups, conventions, holidays and weddings. We also have a liquor license and provide several choices of ice cold beer and a variety of wine. Whether spending the night or just traveling through, the Broken Spur Steakhouse is sure to please everyone. Breakfast is included with hotel room rate or open to the public for $9.95 .